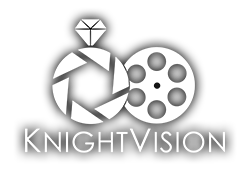 Thank you for considering KnightVision Weddings for your big day! We’d love to meet you and hear all about it. We know how important all those little details are and we want to make sure we capture all of them. Let’s meet up for a coffee to see if we’re the right fit for you. Please feel free to give us a call or send us an email using the form below. We can’t wait to hear from you.